Itsekiri ethnic nationality in Delta State, yesterday, accused some serving and former governors in the Niger Delta, of fraternizing with militants to wreak havoc in the region, only to openly and secretly call on the Federal Government to dialogue and drop the criminal charges against them. 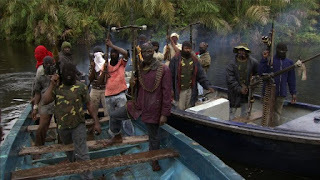 Chairman of Warri Study Group, WSG, the intellectual arm of the Itsekiri nation, Mr. Edward Ekpoko, who made the allegation in a statement, urged the Federal Government not to dialogue with Niger Delta Avengers, NDA, or any other militant group. This came as South-South leaders, who met at Uyo, Akwa-Ibom State, suggested that President Muhammadu Buhari should lead the Federal Government’s negotiation team in the proposed dialogue with Niger Delta agitators and stakeholders to reach an acceptable solution to the bombings of oil and gas facilities in the region. However, Niger Delta activist, Annkio Briggs and other Niger Delta groups, insisted that nothing short of 100 per cent resource control would be acceptable to the region in the dialogue. According to WSG: “Politicians, especially some governors (both serving and former) and their cronies from the Niger Delta are hands in glove with the militants and are openly and secretly advocating dialogue with them so as to (through them) have criminal charges against them dropped. “The militants are well known to some of them (governors) to the knowledge of Niger Deltans. Government should keep them under watch. Let us get it right: who are the Avengers? Tompolo has denied them, but do we believe him when they want his account de-frozen? MEND has denied them, they are used by those who created them. “To dialogue with them is tantamount to open discussion with corrupt politicians from the region that have forced the pathetic conditions of life that now pervade the Niger Delta. All they want is to bargain themselves from investigation and trial,” the group said. On the attacks, WSG said: “We have watched with consternation the renewed violence in the Niger Delta by the Niger Delta Avengers and its affiliates such as Joint Niger Delta Liberation Front, JNDL. Their criminal acts and violence have left in their trail vandalized oil and gas pipelines, other installations and killing of military personnel deployed to guard these facilities. In a communiqué by former military governor of old Rivers state, HRM Alfred Diete Spiff, who chaired the dialogue, convener, Chief Judith Asuni, of AA PeaceWorks and others, said that President Buhari should personally lead the negotiation, as did his predecessor, former Presidents Umaru Yar’Adua and Olusegun Obasanjo, involving the International community.